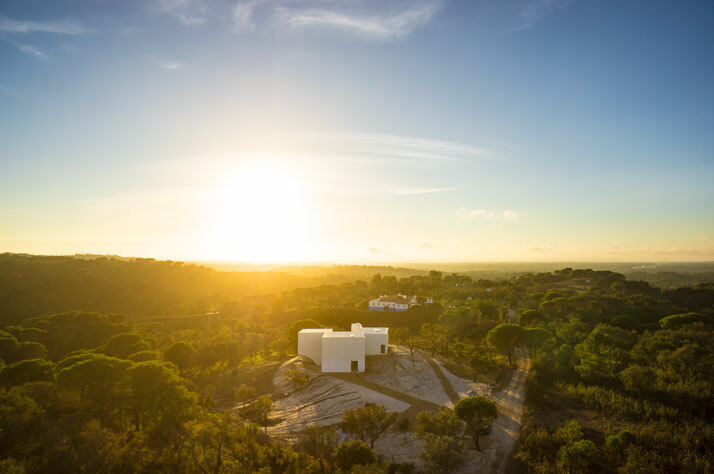 This is the second time we’re taking you to Portugal this month, and not without good reason. 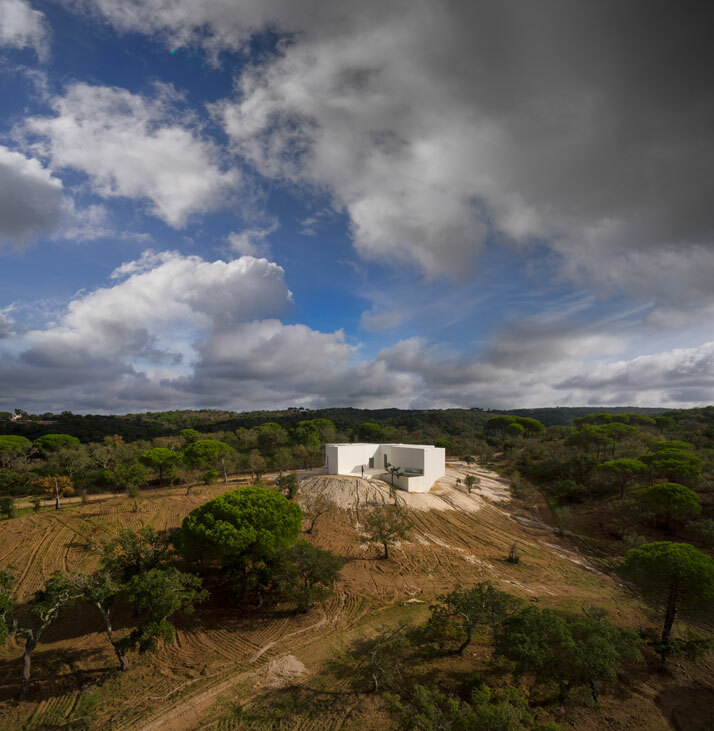 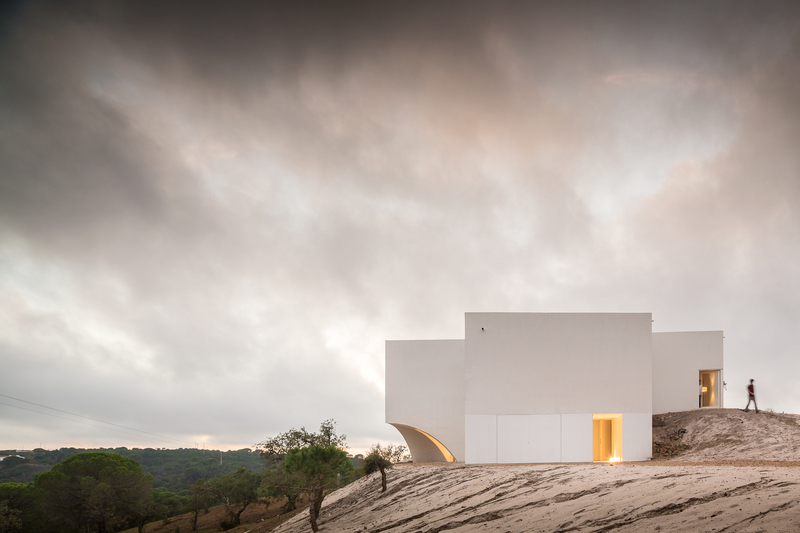 Architecture photographer Fernando Guerra has shared with us his recent work on a fantastic country house designed and constructed by architects Ana Cravino and Inês Cordovil (founding members of Lisbon-based SIA Arquitectura Studio) in collaboration with acclaimed Portuguese architect Manuel Aires Mateus (of the award-winning Aires Mateus Studio). 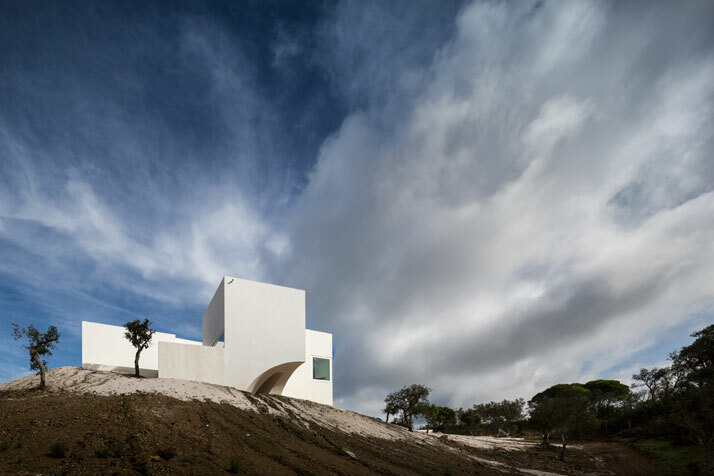 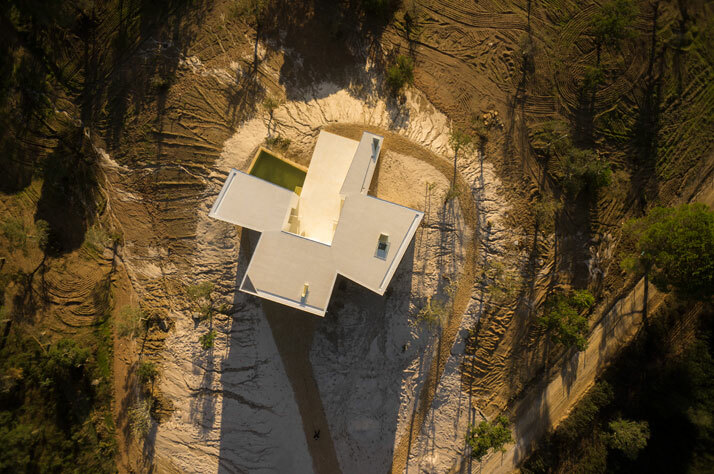 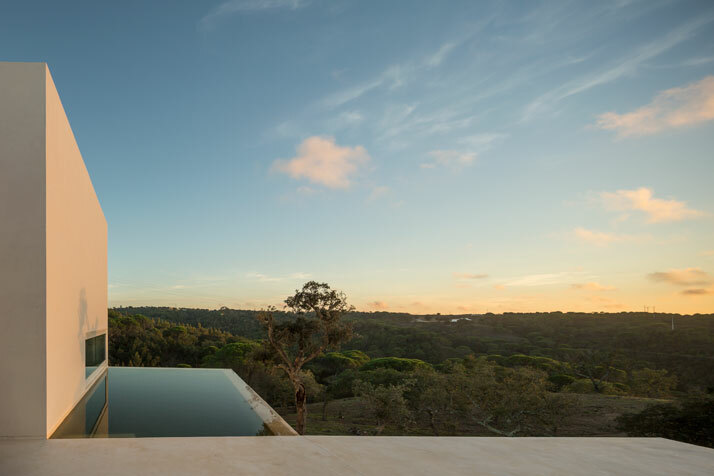 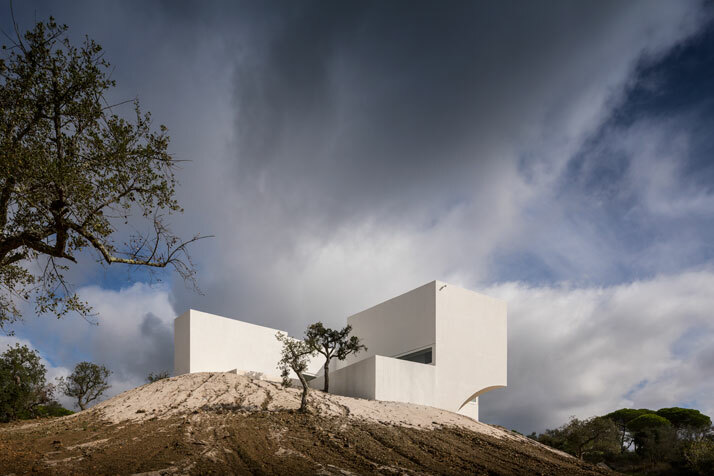 Situated near the small town of Melides, the residence is set atop a hill overlooking the Quinta da Fontinha (Fontinha Estate), and was conceived as a lookout or observation post – in a way reminiscent of the mansions built in medieval times by landlords and princes throughout the Mediterranean region to oversee their vast agricultural estates. 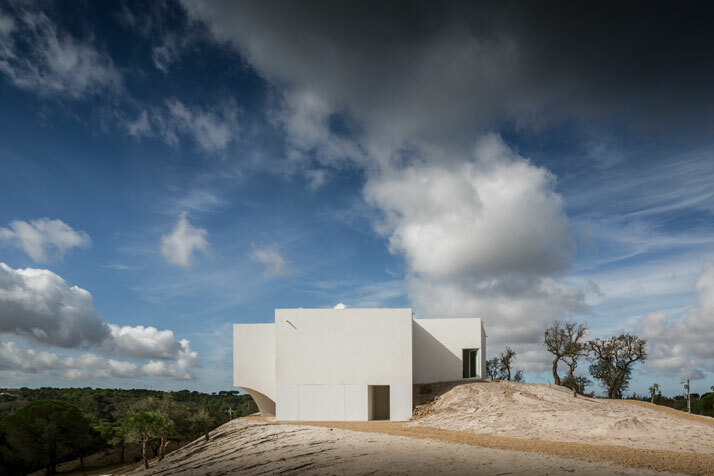 Built around a central terrace looking out towards the Atlantic, the house includes three bedrooms, a kitchen with adjoined living room area, and a swimming pool, while an additional living room and two storage areas occupy the lower floor. 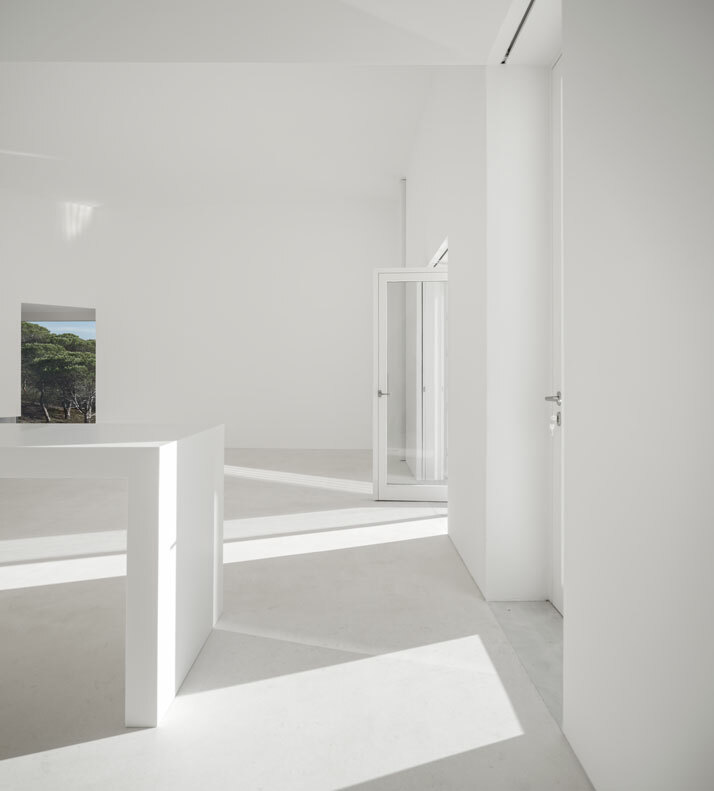 The house was designed as one seamless space, with the central terrace functioning as a common area out to which all rooms have an opening – another feature that is typical of traditional Mediterranean houses. 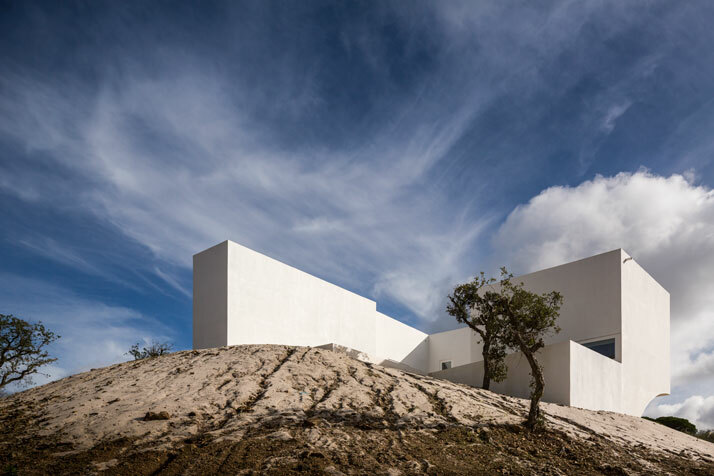 In a contemporary twist characteristic of the work of Aires Mateus, the building’s four main volumes are trapezoidal in shape which subtly distorts their proportion, making them look bigger and longer than they actually are. 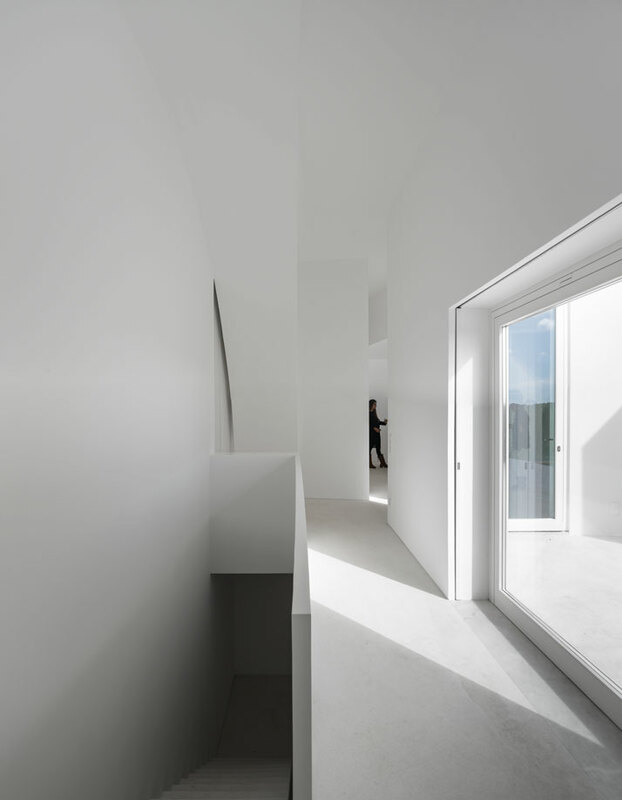 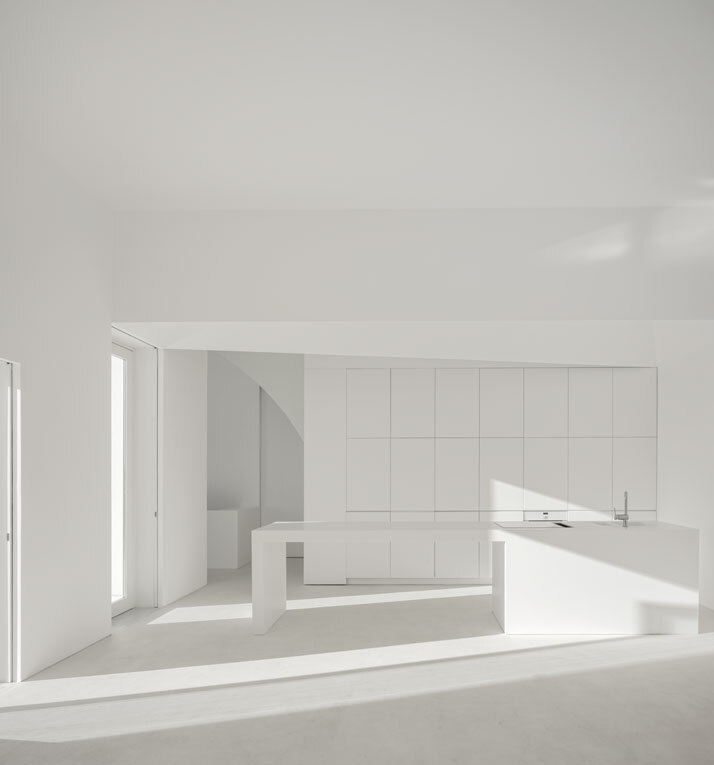 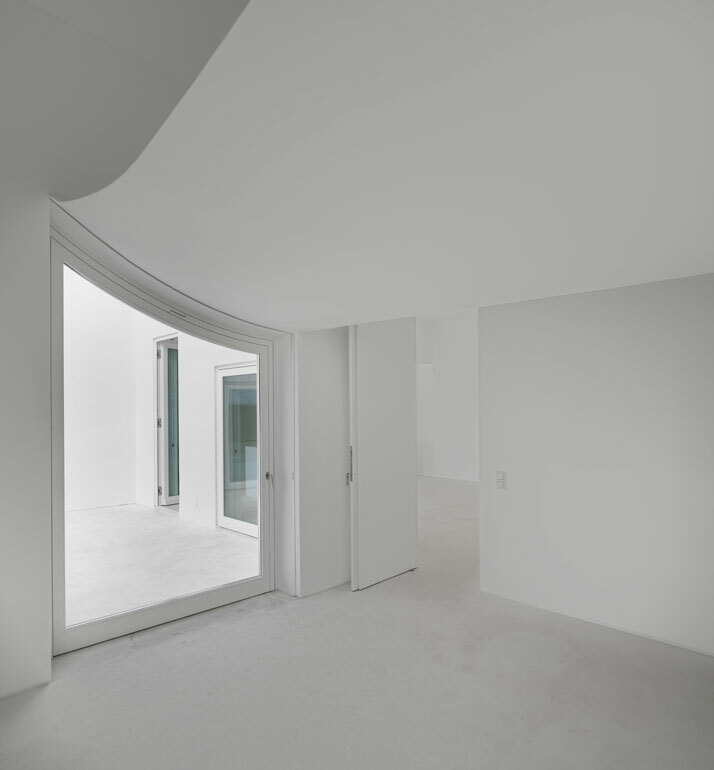 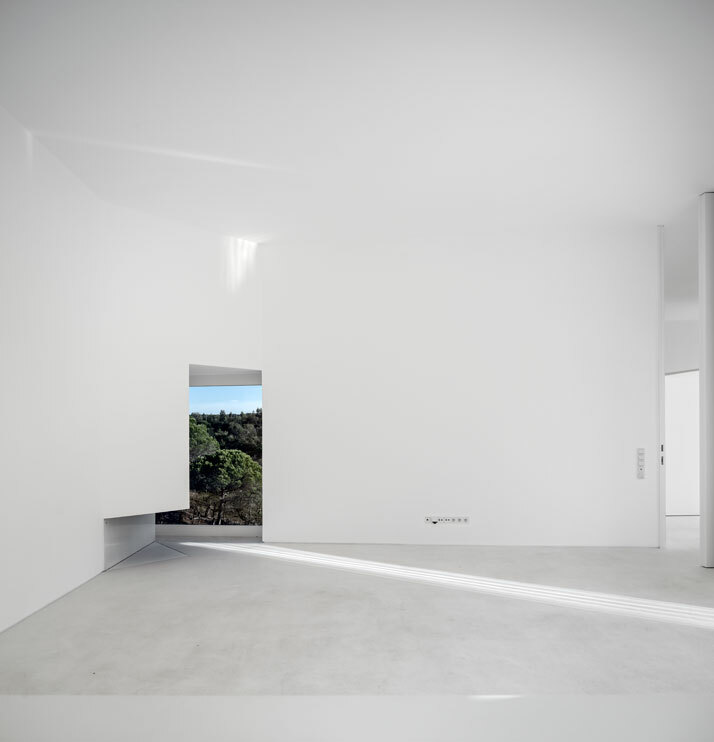 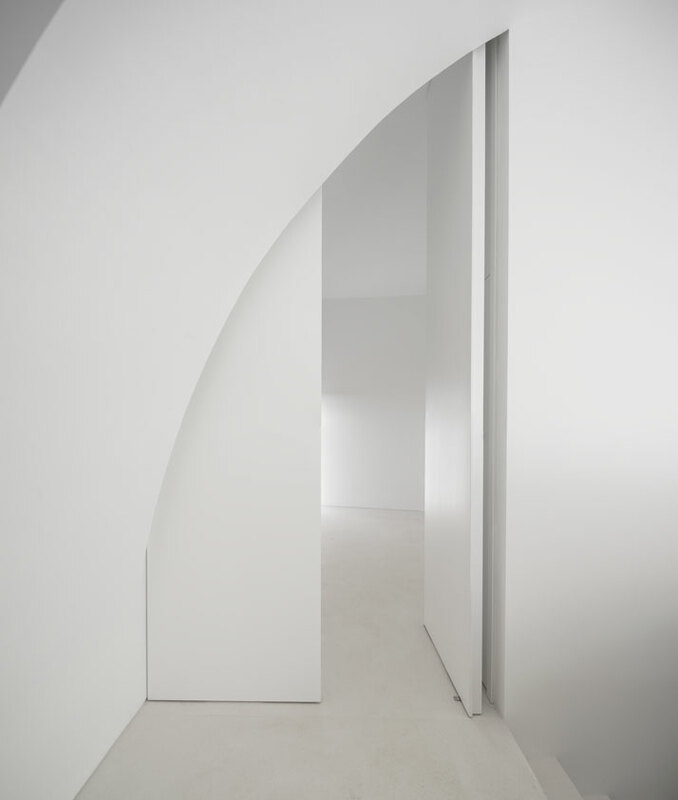 The house appears austere and monolithic from the outside; yet this is cleverly balanced out by the subtle use of curved shapes and the overall sense of transparency found in the interior. 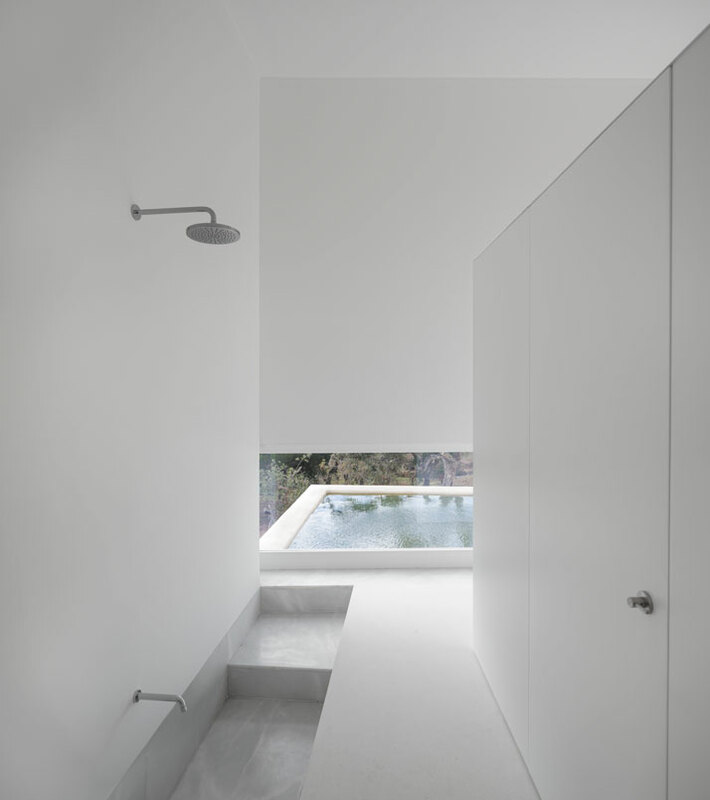 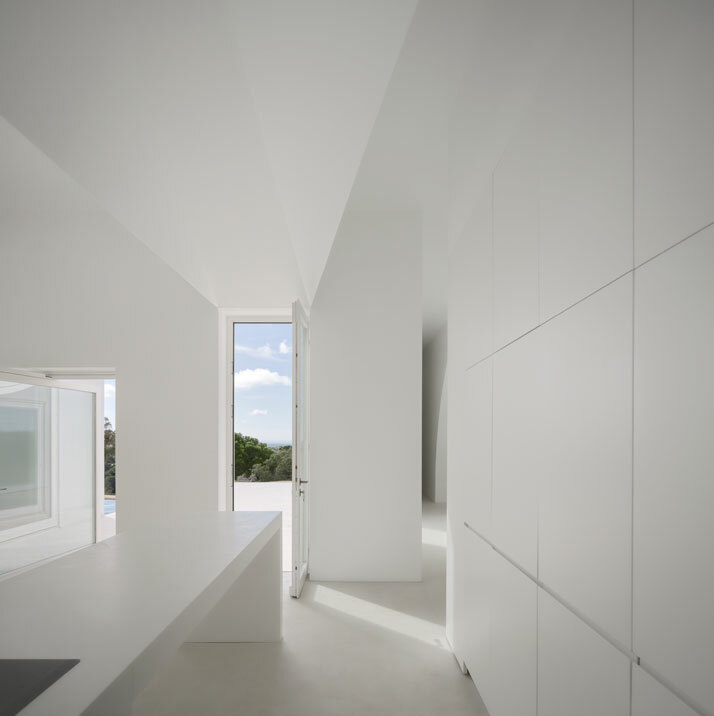 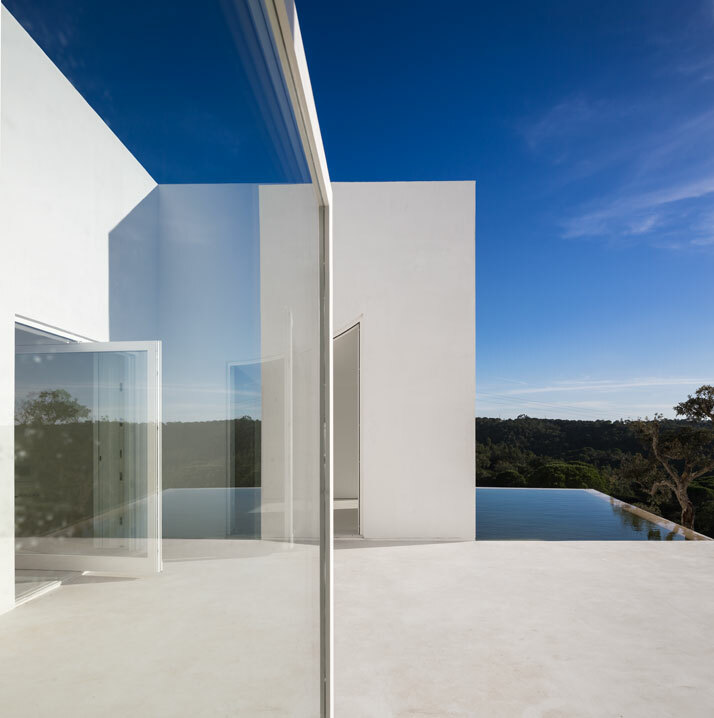 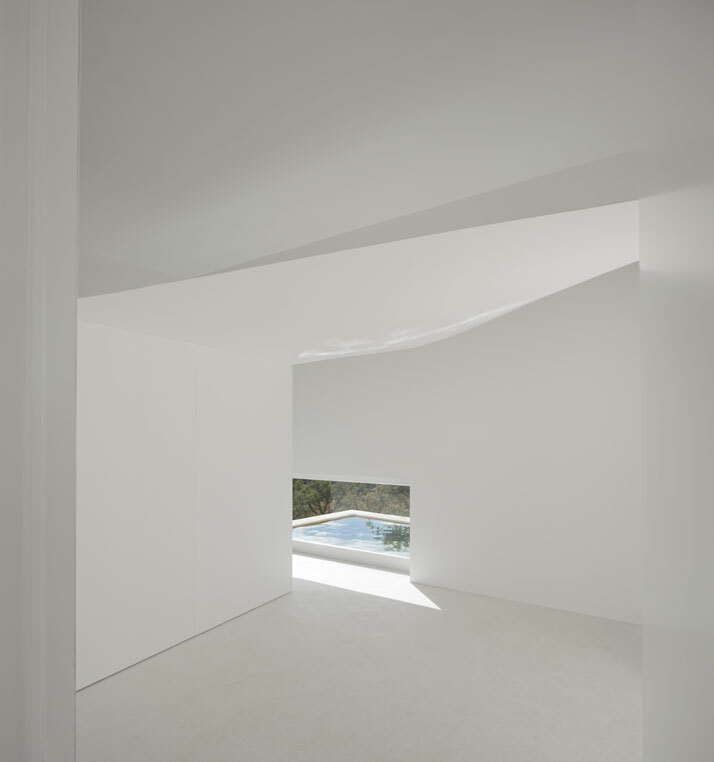 Bright, open spaces (cleverly placed within the rather unorthodox form sketched out by Manuel Aires Mateus early on in the creative process) offer generous views over the surrounding nature and the pool, creating a sense of tranquility and meditative calmness – qualities that were part of the brief given by the client. 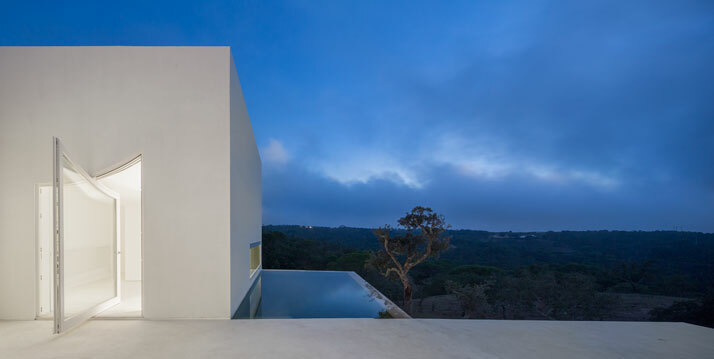 Other notable characteristics include the camouflaged triangular fireplace in the kitchen area, the marble-clad shower area concealed behind a wall in the master bedroom, and the conch-like doorway on the lower floor which opens out into the forested hills.